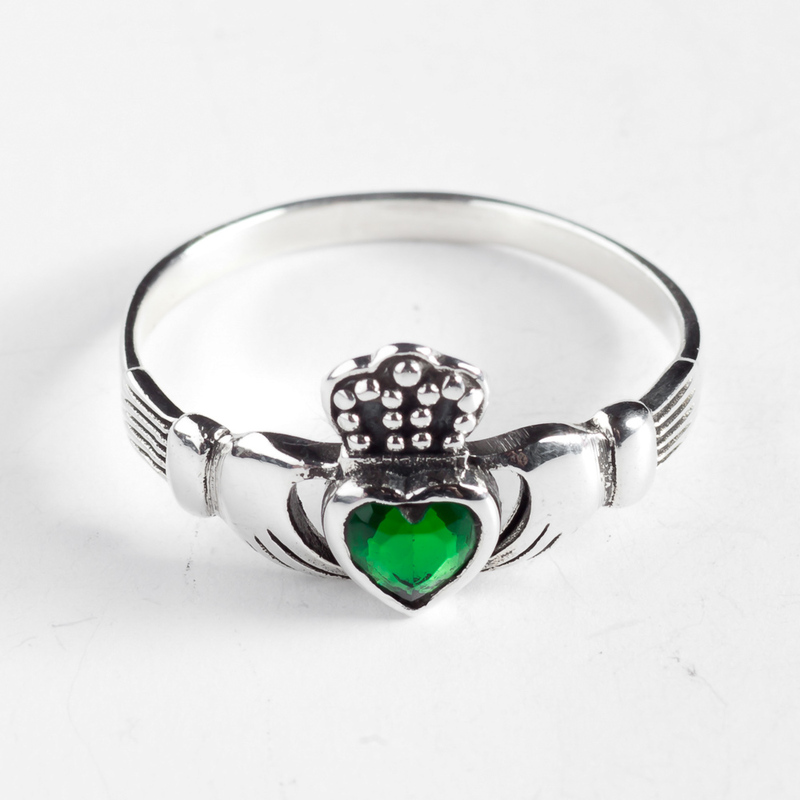 The Claddagh symbol dates back to the 16th century when Richard Joyce designed it for his one true love. 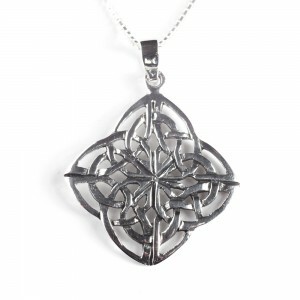 This elegant necklace is handcrafted from .925 sterling silver and features a green cubic zirconia. 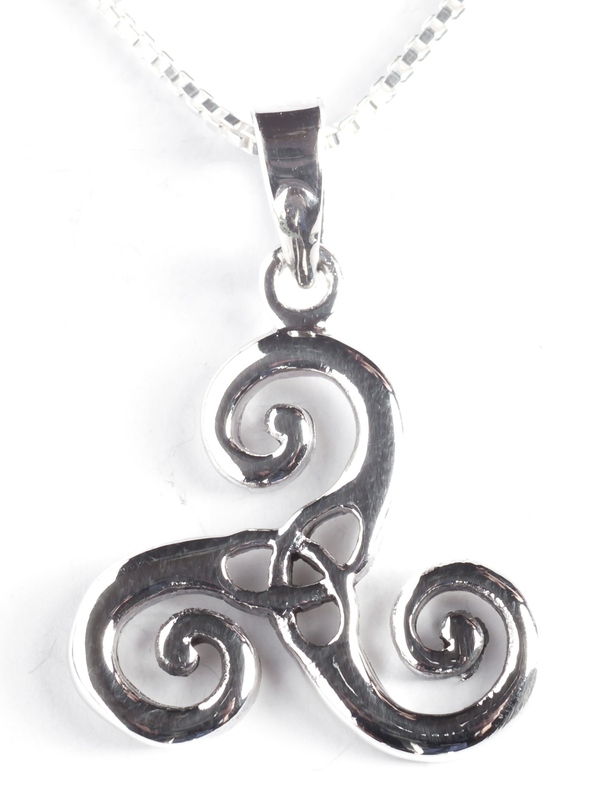 The Claddagh’s distinctive design features two hands clasping a heart surmounted by a crown. 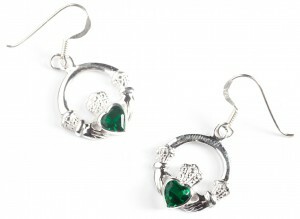 The Claddagh represents love, friendship and loyalty. 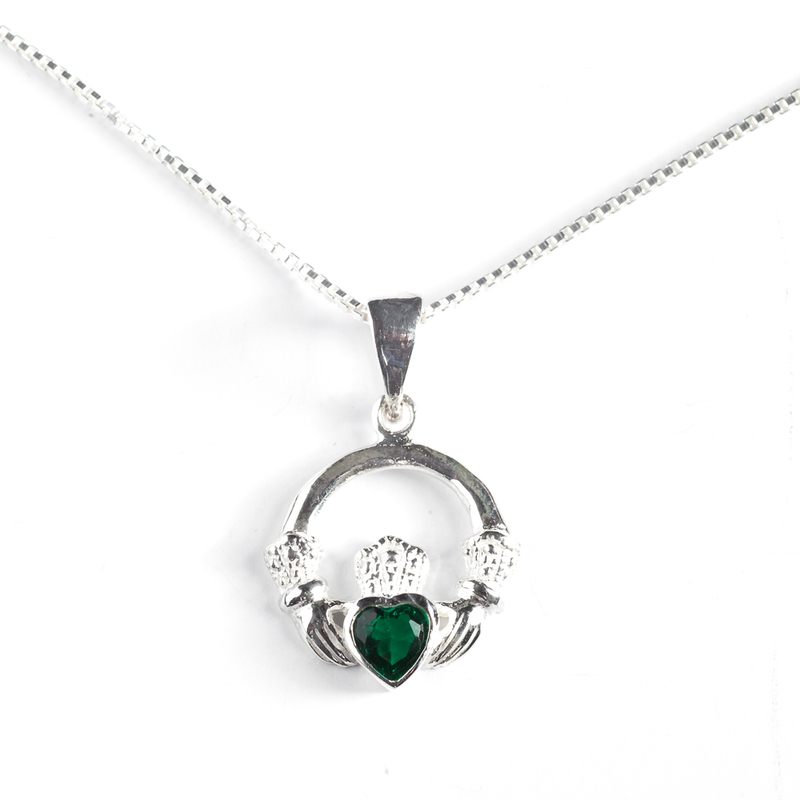 The emerald green cz will definitely remind you of the Emerald Isle. 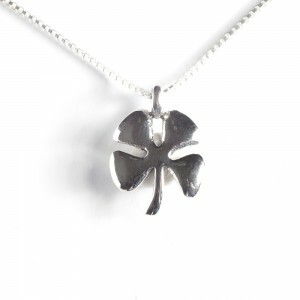 This is one of our best sellers throughout the year. 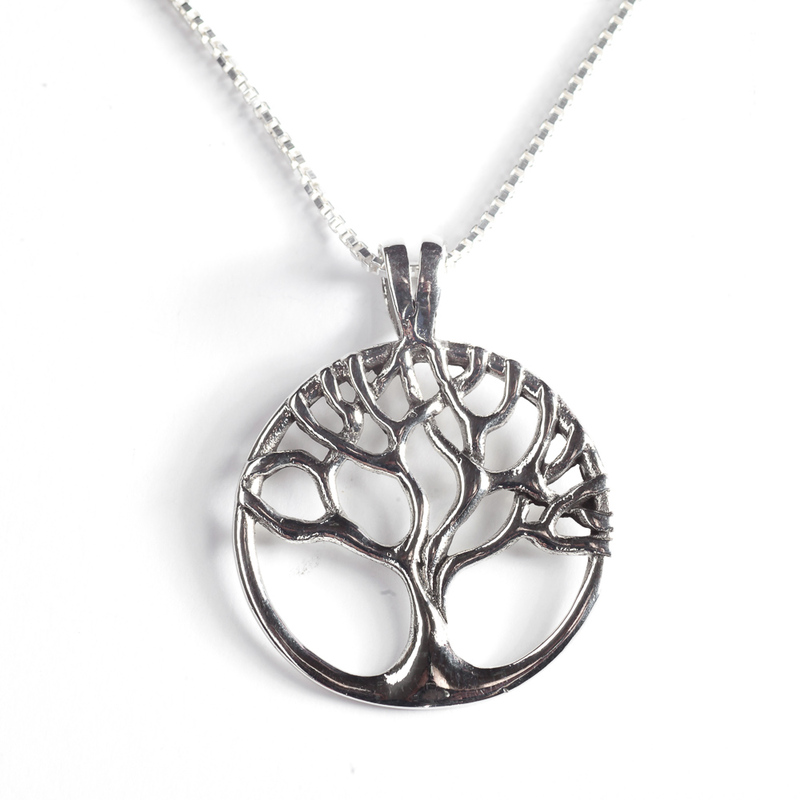 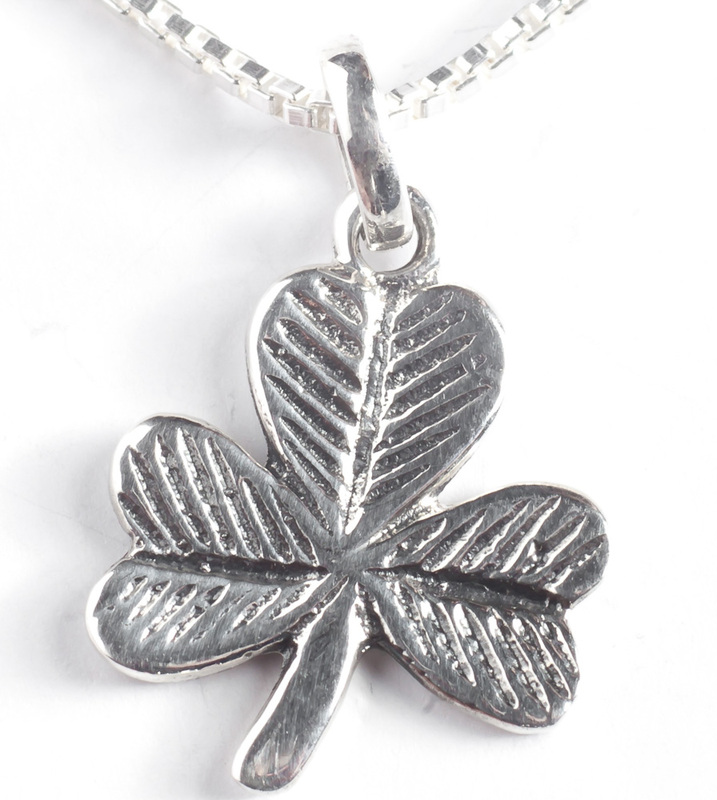 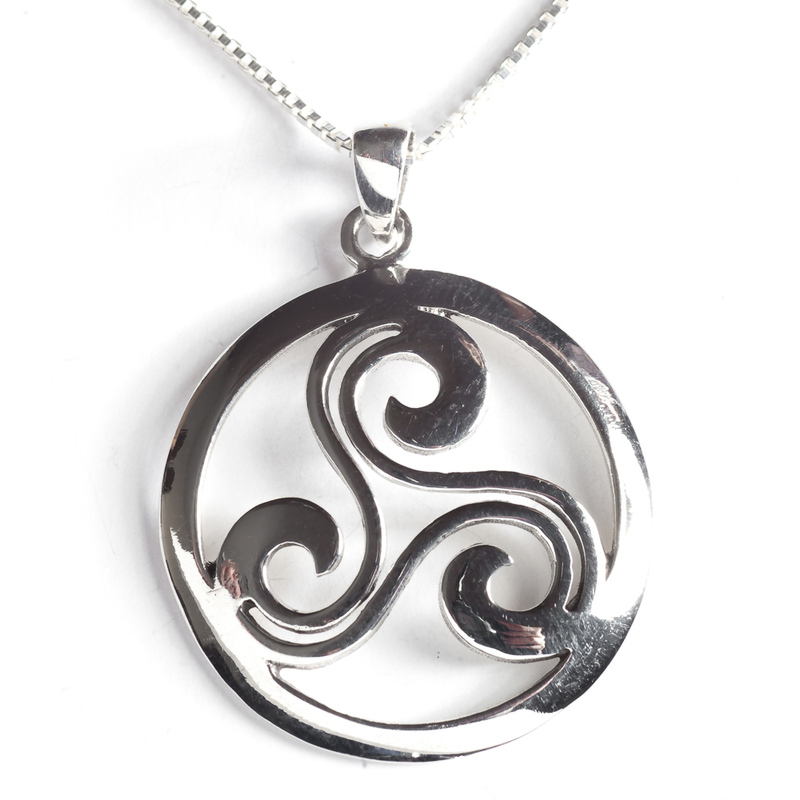 This pendant is available in 5 different chain lengths and there are matching earrings available.